Did the landowner, contractor or subcontractor cut corners to cut costs? Did they knowingly keep faulty equipment in operation at the construction site? Did they fail to instruct employees in proper use of machinery, tools or equipment? Did a subcontractor fail to clean up after himself, leaving booby traps at the work site? As your attorneys, we work to find answers to these questions. Our goal is to secure the compensation that you deserve for your injuries. 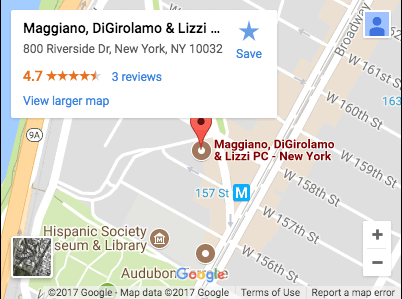 In construction accident cases as in all personal injury cases, Maggiano, DiGirolamo & Lizzi’s formula for success equals active client involvement combined with aggressive, intelligent practice of law. Decades of personal injury law practice have put our attorneys where we are today: ready to listen and help you here and now after your construction accident injury.